We have experimentally and numerically generated plausible patterns for laser interference lithography (LIL) using a multipoint interferometer (MPI) with varying parameters. We analyze the interference patterns qualitatively by obtaining a linescan of the diffraction patterns. Increasing the radius of the points in the MPI results in patterns with smaller and less intense diffraction patterns. On the other hand, we have observed that increasing the radius of the whole interferometer results in a decrease in the distance between the periodic patterns. These patterns present flexibility in the choice of patterns for optical lithography. M. L. Argonza, N. A. Zambale, and N. Hermosa. 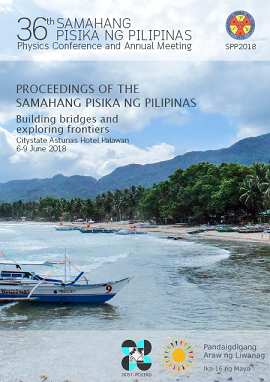 Multipoint interferometer diffraction patterns for laser interference lithography, Proceedings of the Samahang Pisika ng Pilipinas 36, SPP-2018-PA-30 (2018). URL: https://paperview.spp-online.org/proceedings/article/view/SPP-2018-PA-30.